Hey it’s Deb again from Bowl Me Over! 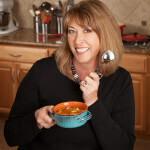 I thought I’d stop by and share an easy and delicious recipe with you today. 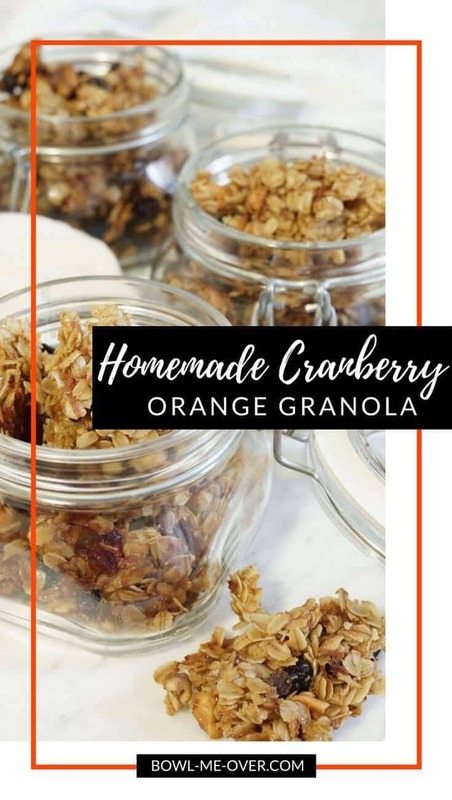 This one is super simple and perfect for this time of year – Homemade Cranberry Orange Granola. You’re going to ask yourself why you haven’t made it yourself sooner. You control what goes into it, ensuring your family only receives the best ingredients! 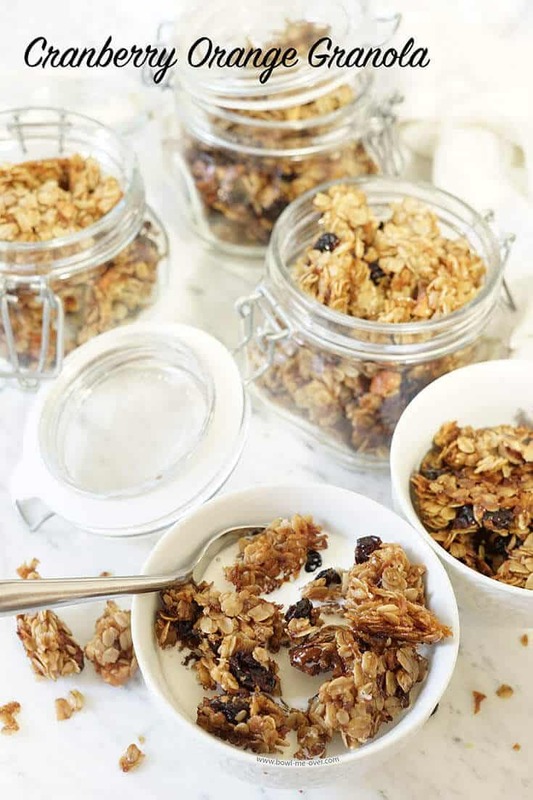 Making your own granola is much more affordable than buying it. This granola makes a great holiday gift! You’ll start by measuring out the oats. Use the old fashioned-kind (not quick cook). 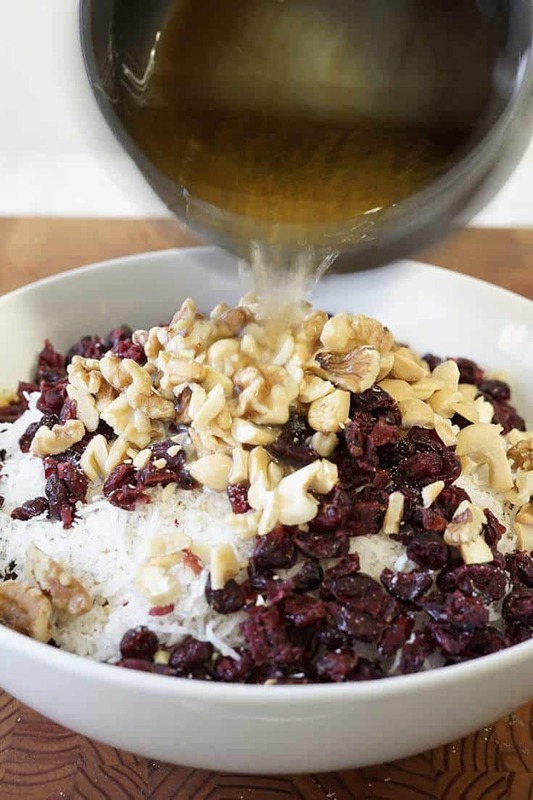 Add coconut and cranberries, chopped walnut and cashews. Drizzle with the sauce and toss to coat. Then simply spread it out on a cookie sheet and bake in the oven until it is browned. When it’s golden brown and toasted, simply remove it from the oven and allow it to cool completely. Break it into big chunks and store in a glass container. It also freezes really well. 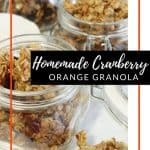 This cranberry orange granola is super simple and delicious for breakfast or an easy snack and it's perfect for a holiday brunch! Using a large bowl combine the oats, cranberries and shredded coconut. 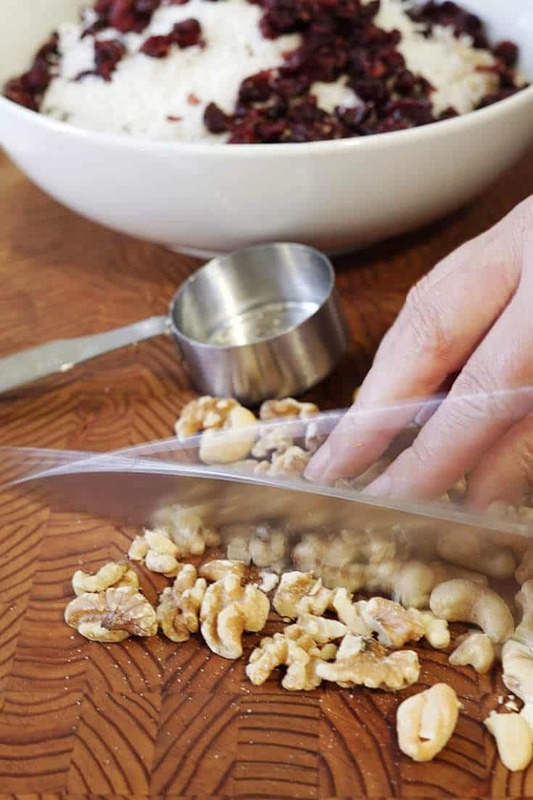 Lightly chop the walnuts and cashews, add them to the bowl with the oats. Add the vegetable oil, honey, brown sugar and salt to a small saucepan on the stove. Place over medium heat. Warm this mixture until the brown sugar and salt dissolve, stirring often. Once it dissolves, remove from the heat and stir in the orange zest. Drizzle the mixture over the mixture in the bowl. Stir well and make sure every oat and nut is completely coated. Spread the mixture onto a cookie sheet lined with parchment paper. Spread out into an even layer. 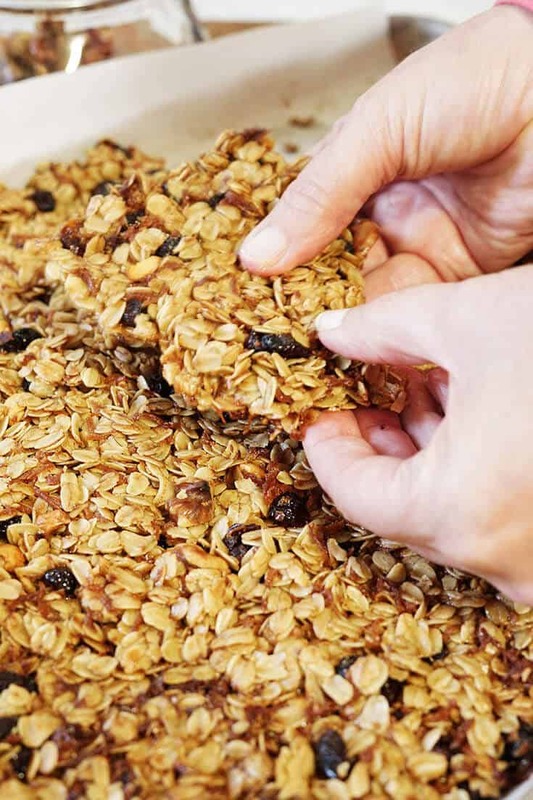 Place in the preheated oven for 30 minutes or until the granola is golden brown. Remove from the oven and allow to cool completely. Break into crunchy bits and store in a glass container. This freezes great and is also a terrific gift! It’s that simple! Homemade Granola is 100 times better than store bought and I promise you, you’ll never purchase store bought again!